You know I love me some scrappy quilts!!! Another quilt I would have loved for LB to forget she sent me. 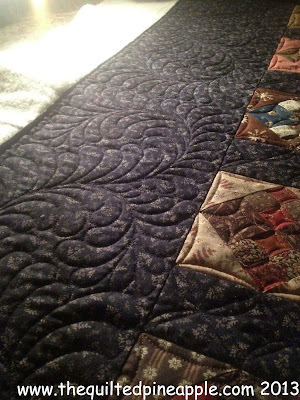 Feathers always complement any quilt, but they really look nice on a reproduction quilt. I love the name Camp Randall too. A nice tribute to Wisconsin and I am not just talking about the Stadium the Badgers play in. Camp Randall was a historical U.S. Army Training site in Madison WI, including training Union Soldiers during the Civil War. 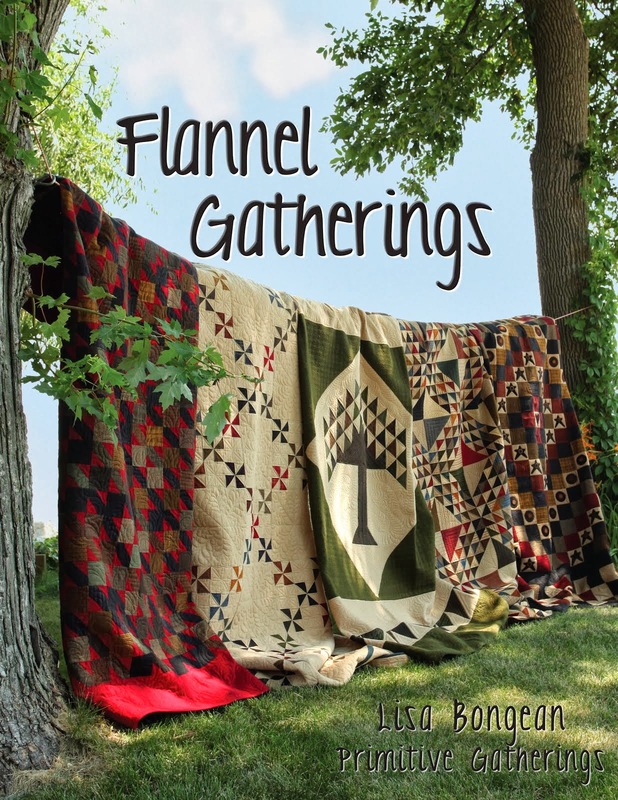 I believe there are some really nice kits of Camp Randall available on Primitive Gatherings Website here. LB blogged about Camp Randall and the kit here. 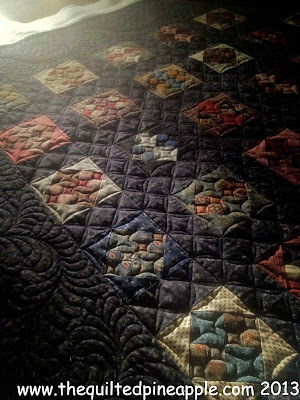 I love scrappy quilts too and this one is especially beautiful and your feathers really look wonderful!! Gosh! That's another beauty! You know I love black. I may have to slide on over and get me a kit! 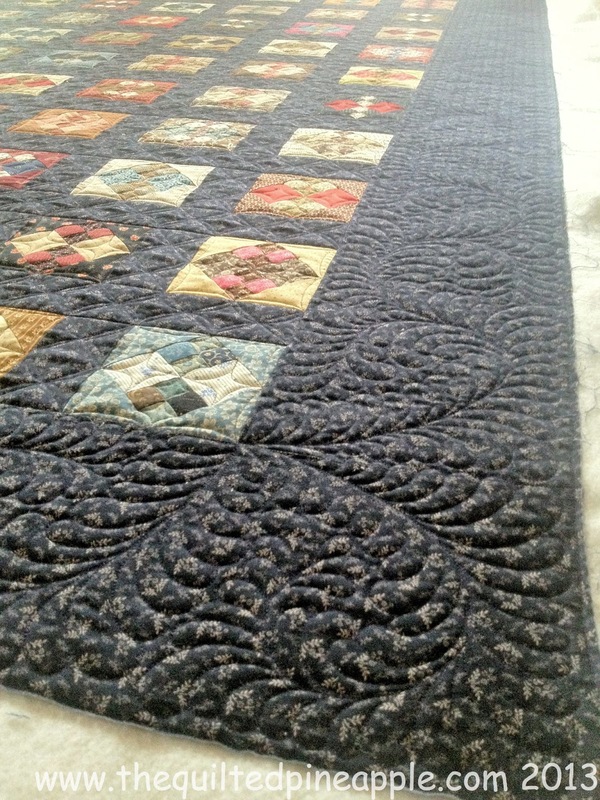 Gorgeous quilting as always, Linda!! gorgeous quilt Linda! I will look forward to your batting post-I've not used a double batt yet but want too. I would like to try it on one of my own first, but haven't had the time yet this year. Gorgeous quilting, Linda! I, too, love the name - I am from Wisconsin so the Badgers are one of my favorite teams! Yes I can totally relate to the emails and questions about clients quilt so I put all the info I can on my posts too. Love the Camp Randell quilt and really like how you do the feather design in the corners! Absolutely gorgeous! I wish my machine liked the Superior Threads. It doesn't. Such a great quilt. I love that border fabric! 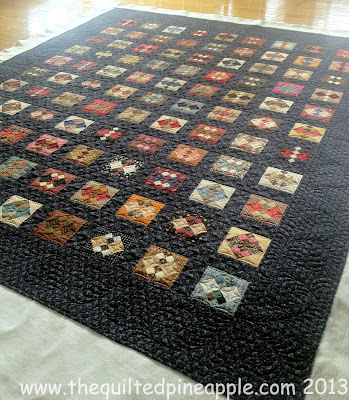 I L-O-V-E this quilt! So perfect for scraps! I need to find some background fabric that goes with my scrap collection. 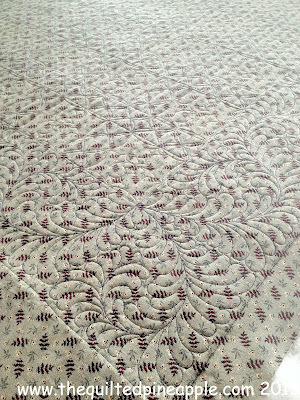 And your quilting is, as usual, gorgeous! Oh wow! This is my kind of quilt. It's just gorgeous! Thank you for the thread recommendation. I am trying to absorb all I can before making my big purchase. Just curious - how did you come up with the name "The Quilted Pineapple?" Might make a good blog post. 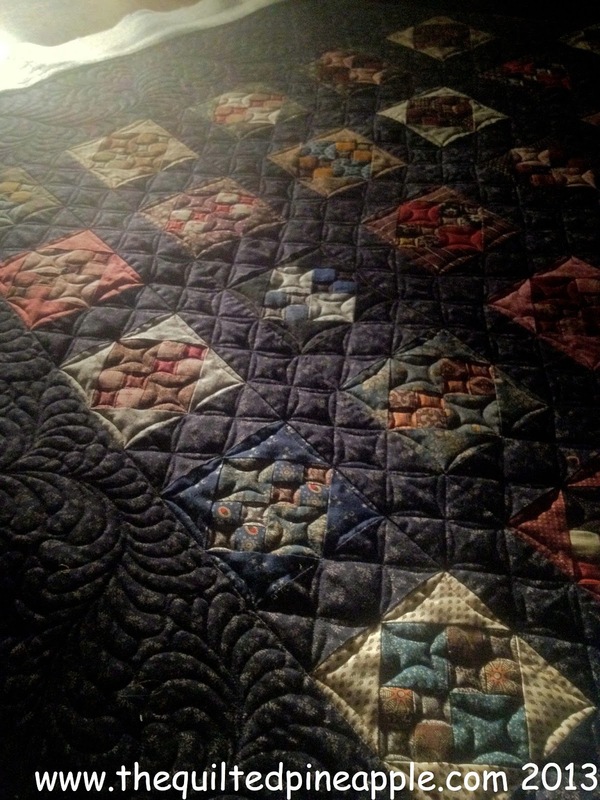 Beautiful quilting, exceptional piecing. thanks for sharing. 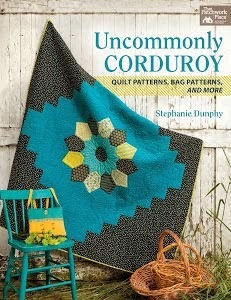 I love that quilt and love the fabrics and colors, add the beautiful quilting you did and it is gorgeous. Camp Randall was hanging in PG booth at the Cincinnati show. 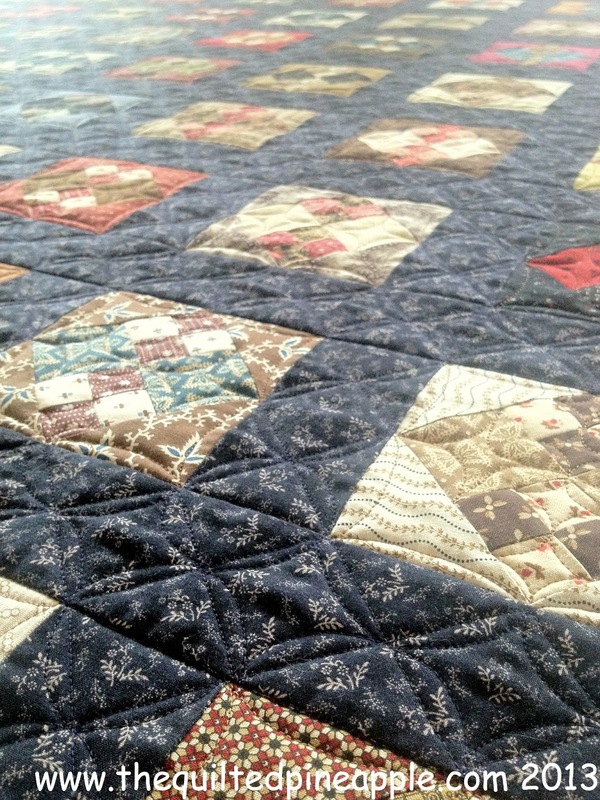 I loved the quilt and the quilting! 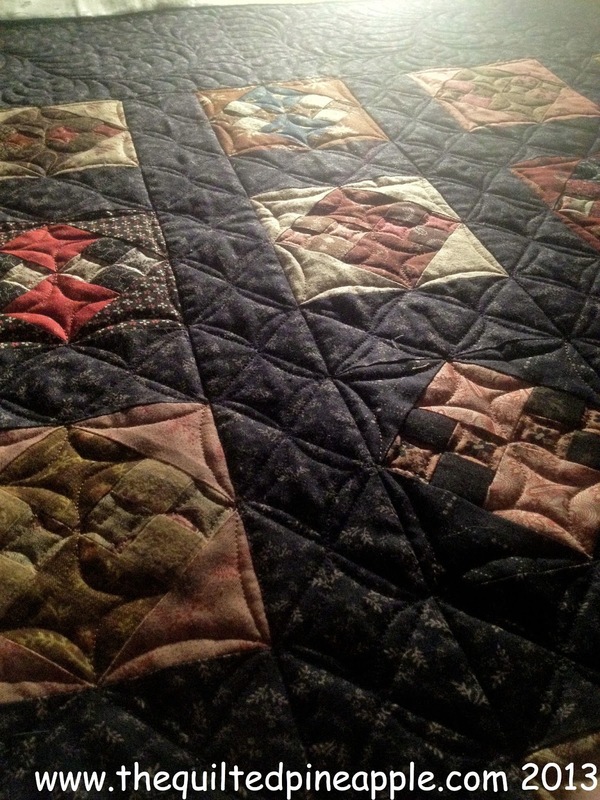 Not being from Wisconsin I didn't know how the quilt got its name. 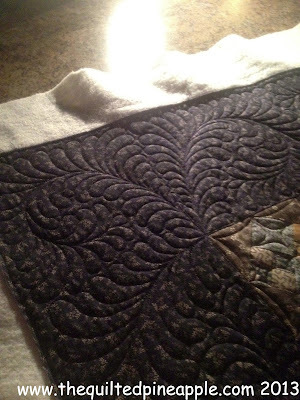 Thanks for sharing the info and your quilting pictures. 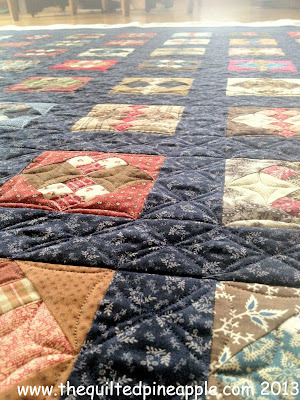 I really enjoyed seeing quilting at the show! It was wonderful to see it up close! 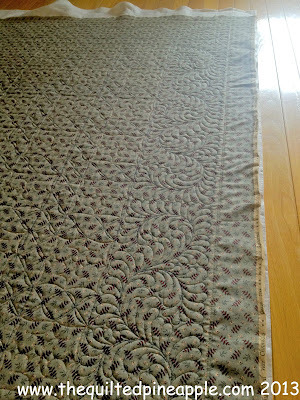 Great quilt and your quilting is stunning! 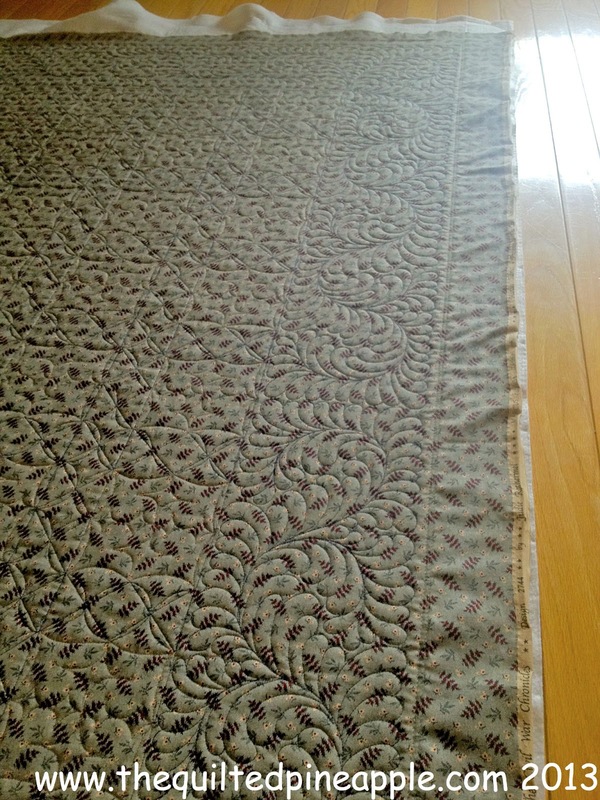 Beautiful quilt with exquisite quilting! 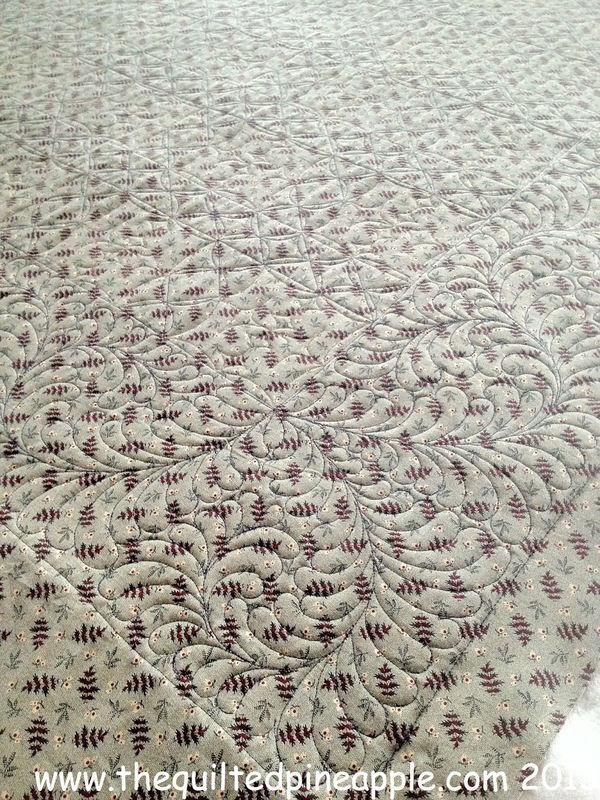 Gorgeous quilting as usual Linda! So nice to see a quilt pattern from Lisa paying homage to Camp Randall, location of the Civil War military training camp, and presently where Camp Randall Stadium sits today. Go Badgers! I also agree 100% regarding Superior Threads! Your quilting is fabulous again, makes the quilt come alive! And thanks for sharing some history with us, love history. Whenever we are in the US we visit historic sites when we can, presidential libraries etc. so interesting. Another beauty, Linda! I love the dark thread on the backing - it pops just fine without the double batting! And I now know another bit of CW history, which I love! Gorgeous!! Your quilting is wonderful with all the feathers.